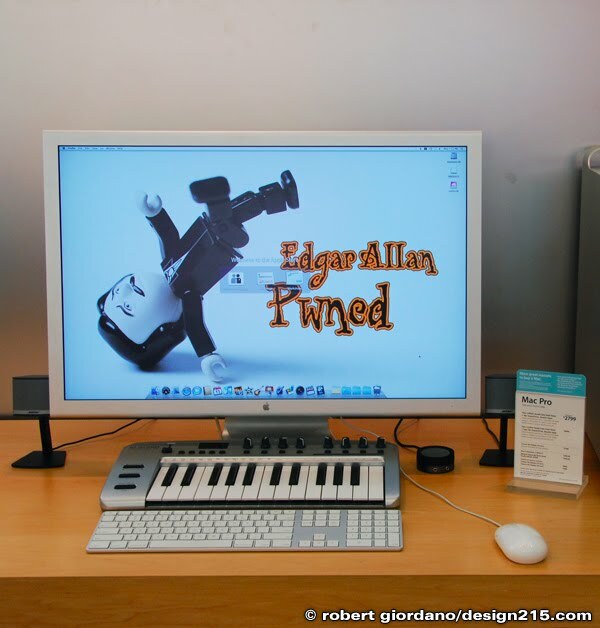 Robert Giordano's Photo of the Day: Edgar Allan Pwned! By funny chance I am Robert Giordano also. I live in Sacramento California, but grew up in New York City. Read your biography and like you I grew up taking apart my families appliances, drawing was my passion in high school (comic books mostly), went into the military worked on Sr-71 and U-2 spy planes and wound up at Intel corp working as an engineer. Although I am quite a bit older than you, I just saw so many comparisons. Not so much into art and photography these days. Did about 15 years of photography and have boxes of pictures pre-internet and old school film. Spent 20 years playing in bands play guitar and bass. Just wanted to say keep going like your pitures and blog.